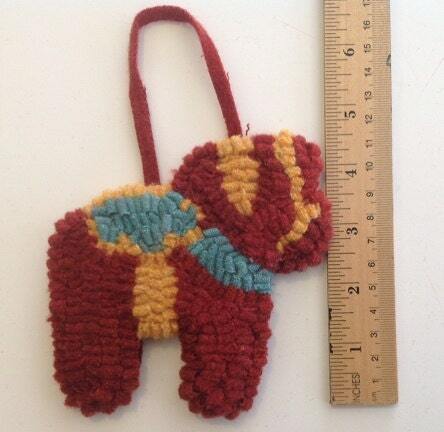 This listing is for ONE Dala Horse Ornament TO101. This little ornament has been hand hooked by me using textured 100% wool in Scandinavian colors, reds, blues, yellows, whites, etc.. It measures about 4 1/2" across and approximately 4 1/2" from top to bottom. 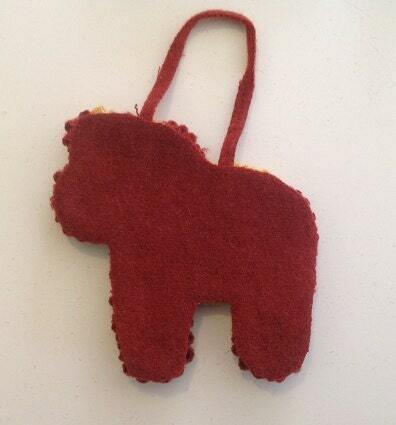 The hanger is a 1/4" strip of wool. A felted piece of wool covers the back. Each ornament is a little different from the others. Notice the third photo. This ornament is ready to hang on your Christmas tree or dress up your fireplace during the holidays.Hang it from a hook on a shelf or piece of furniture all year long to give your home a touch of homespun primitive whimsey! 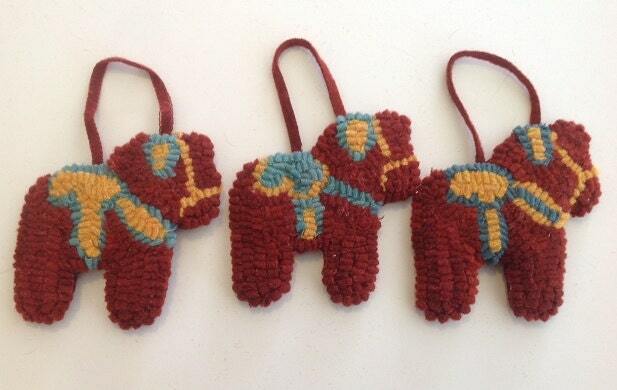 Tie it to a package for that friend who loves rug hooking and primitives. It would make a great teacher or co-worker gift. 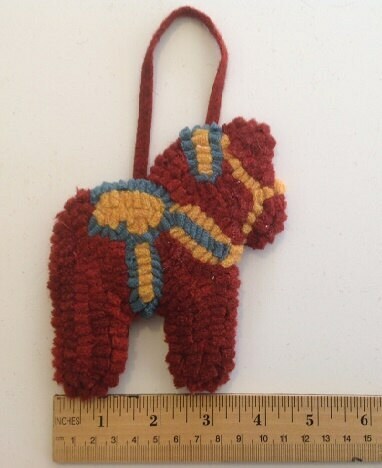 I'm sure you will find a unique spot in your home or creative use for this little Dala Horse! International customers, please convo with your country and item list and I would be happy to give you a shipping quote. Thank you for visiting. Please email if you have any questions.